Over the Memorial Day holiday weekend, the staff of Haunted Illinois traveled to Columbus, Ohio for the Midwest Haunters Convention. MHC is an annual gathering of haunted house owners, actors and enthusiasts. 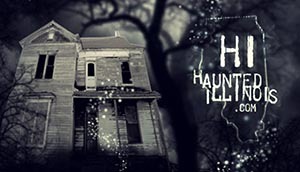 Scheduled activities included haunted attraction related seminars, product demonstrations, a vendor sales floor and contests, as well as an array of after-hours social events. After registering and walking in, we noticed that the show floor seemed a bit smaller than it had been in the past. Comparing exhibitor lists previously posted on the MHC website, there was a 24% reduction in vendors compared to 2017. It is likely, though, that this was due to the fact that MHC was held on Memorial Day Weekend. This hasn't been confirmed, but we were told by multiple people this was the only date available at the venue. New for 2018 was a sneak peak of the show floor. Attendees were given a two hour window on Friday afternoon, where they could go in and check out the vendors. Adjacent to the vendor booths, there was an area called the "Kids Zone". This section of the show floor featured face painting, the Sinister Visions Costume Contest for kids & adults, Berg's USA Pedal Cart Kids Racetrack, kids crafts corner, cookie decorating and other family-friendly activities. Also next to the vendor booths was a net-enclosed axe-throwing booth, where attendees could test their dexterity. There was quite a buzz on the show floor about MHC moving next year. Several vendors who I spoke with told me that MHC would be moving to Chicago. Since I haven't heard official news from Transworld, it is only a rumor at this point. Anyway, it was another fun year at MHC. In the rest of the review, we have provided an overview of after-hours activities, as well as covering vendors on the show floor, including 475+ pictures and 13 video clips. To give credit where credit is due, the vendor pictures and video clips are captioned with vendor names and include hyperlinks to their websites, so you can see more of what these companies have to offer. I hope you enjoy the review!